On the Law, the newest volume in the translation of Johann Gerhard’s Theological Commonplaces, is now available. In this volume, Gerhard addresses the moral Law of God, revealed in Scripture and nature, as well as all other kinds of laws, such as the ceremonies and civil laws of the Old Testament. 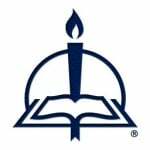 Here the reader finds a comprehensive Lutheran moral theology rooted in God’s command and Christ’s fulfillment of the Law. Gerhard examines each commandment in detail and resolves various difficulties and cases of conscience, which are still relevant today. 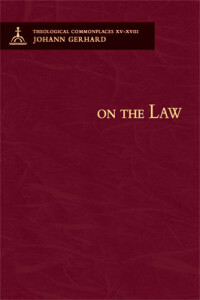 Also in this volume is the commonplace On Ceremonial and Forensic Laws, which shows that these categories of laws from the Old Testament have been abrogated while at the same time pointing to their importance for Christians in understanding God’s acts of old with His people and their fulfillment in the work of Jesus Christ. Become a subscriber to theTheological Commonplaces and receive each new volume automatically upon publication and at a 30% savings off list price.